Gail Anderson was stunned when she first heard the provincial government was cutting roughly $4.8 million in regional and city library funding. Anderson has spent nearly 30 years working in the provincial library system, the last 14 of which where as acquisitions manager at the Wapiti Regional Library Office. For her, the announcement was a bit puzzling. Anderson said she’s had a rewarding experience working in Saskatchewan Libraries, but now she’s concerned about the future. 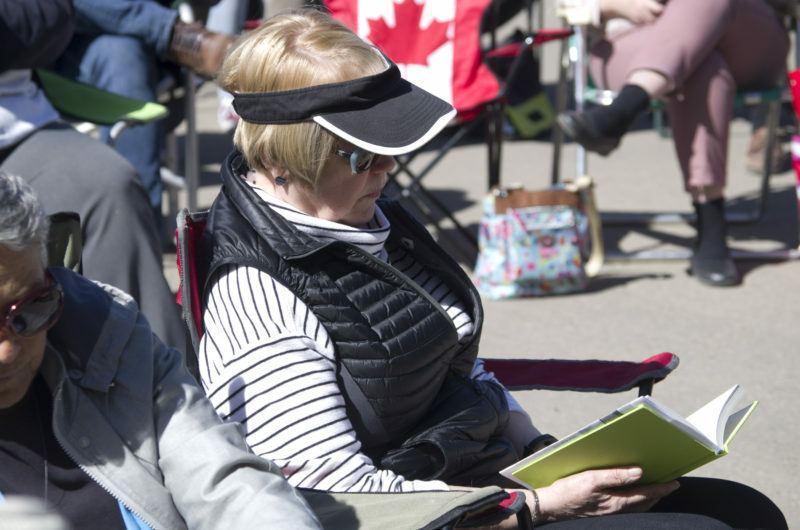 On Friday, she was one of more than 75 people who gathered in front of Prince Albert Carlton MLA Joe Hargrave’s office protesting the government’s decision to cut funding for libraries across the province. “We’re wishing we were here for a better reason, but we’re trying to make a statement to the present government, and to the local MLA, that we’re not happy about the recent drastic cuts,” she said.